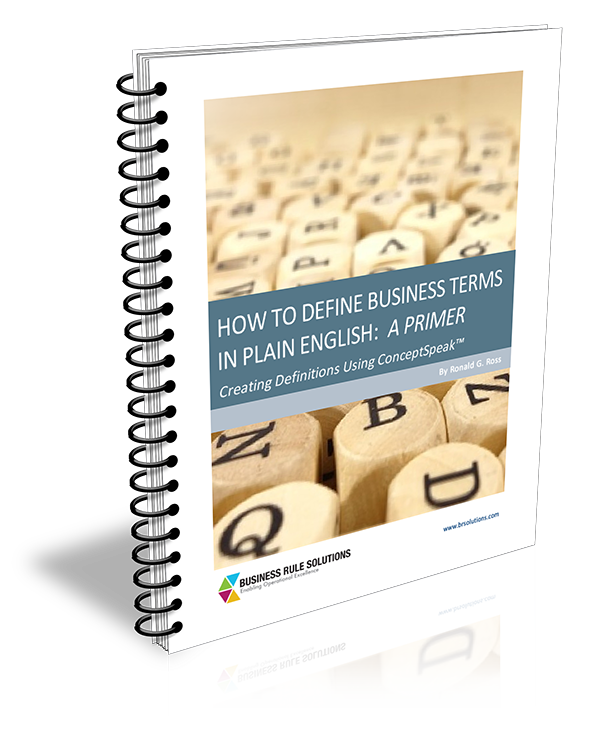 How can you put the ‘business’ into business analysis? How do you deliver true business value? What should you be doing before requirements? 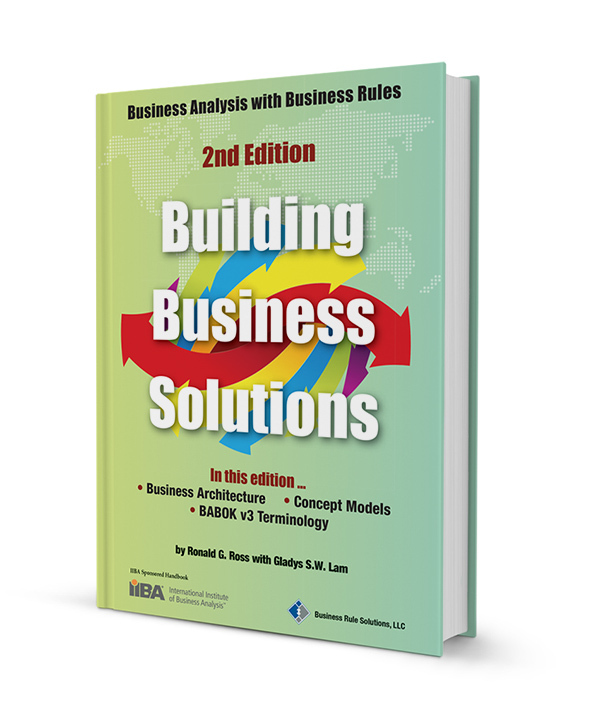 A newly updated handbook that presents practical, proven, innovative methods to building great business solutions. 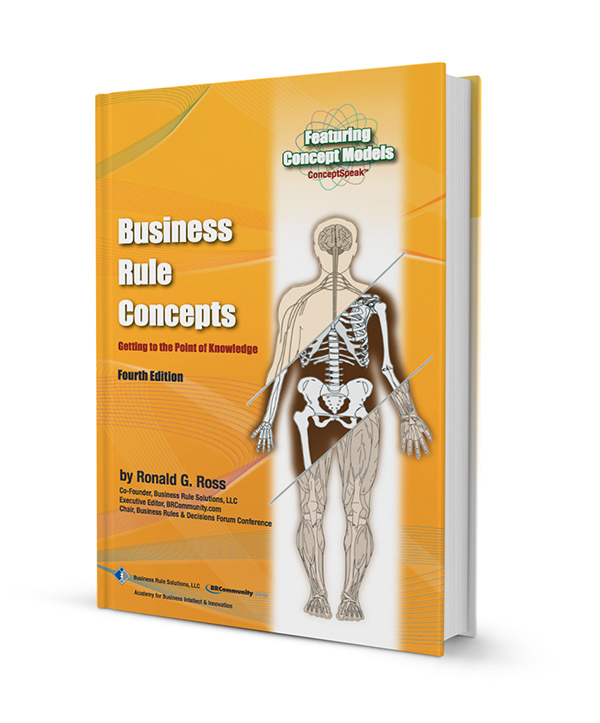 The Business Rule Approach represents a major paradigm shift in business-system design and development. 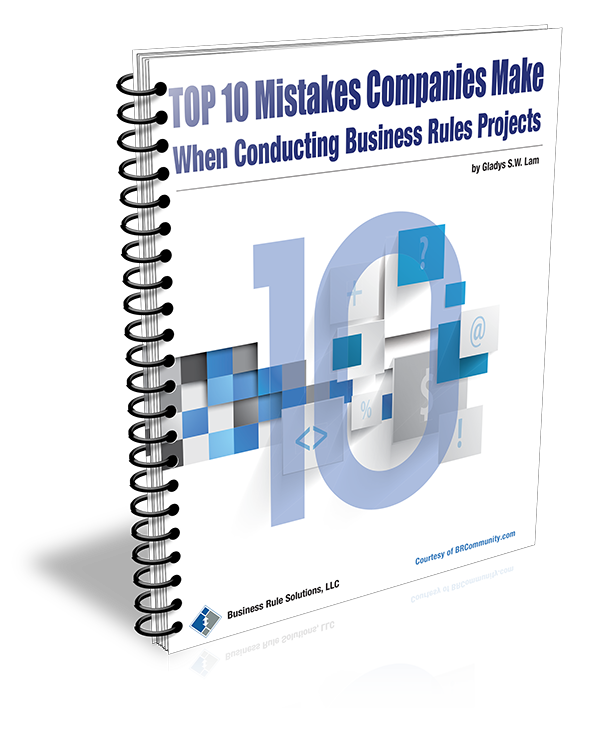 Employing a business-driven approach, the use of business rules has been proven to enhance the effectiveness, flexibility, and efficiency of business systems. The technology is appropriate for any kind of organization, and is especially well suited for development in the rapidly expanding Web services industry. Take a top-down business view of the decisions in your business processes. 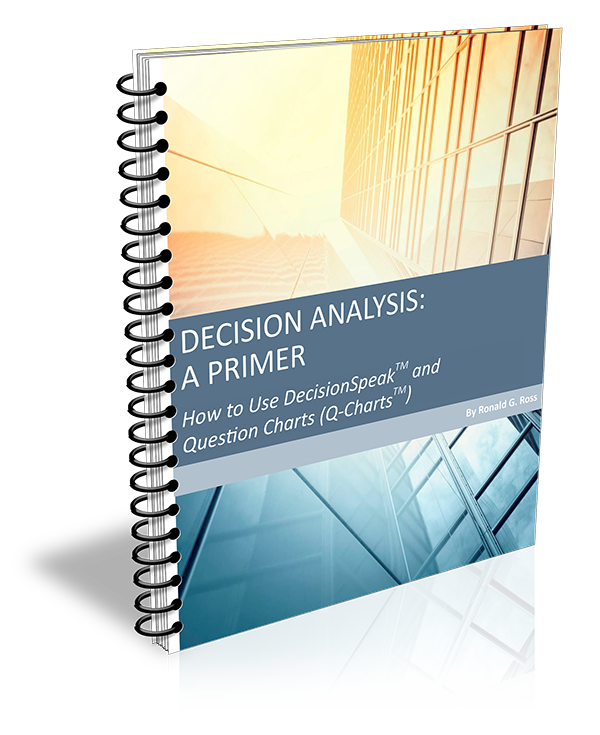 Visualize, explore, and get ready to harvest the decision logic. 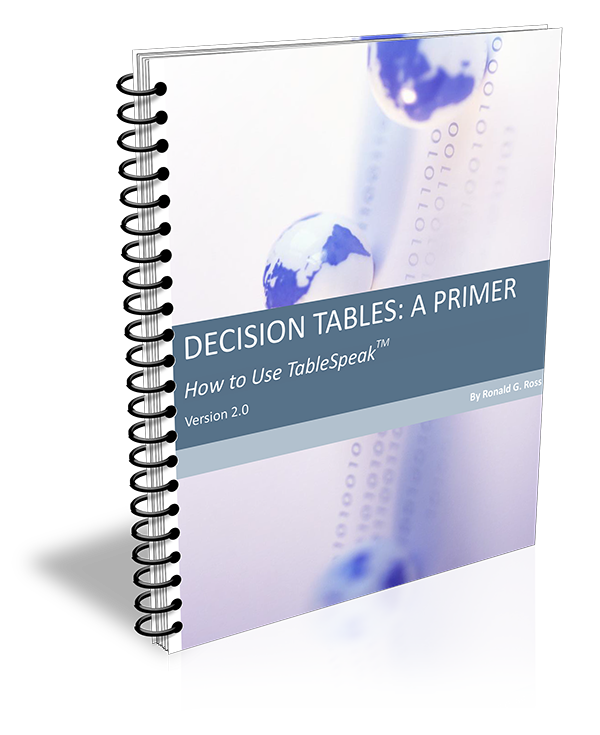 Buying a decision management platform does not mean you automatically make good decisions. Learn how to think before you act. Conceive, construct, confirm! 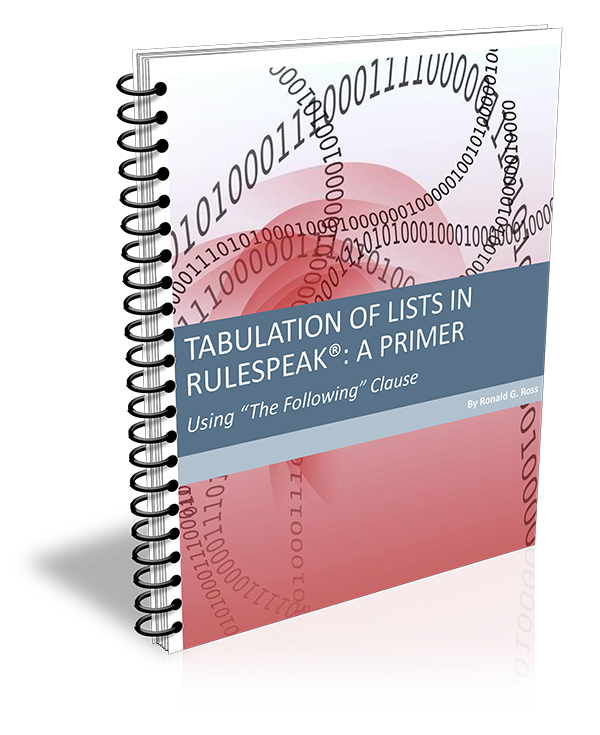 Visit the RuleSpeak® website to learn more about this set of guidelines for expressing business rules in concise, business-friendly fashion. 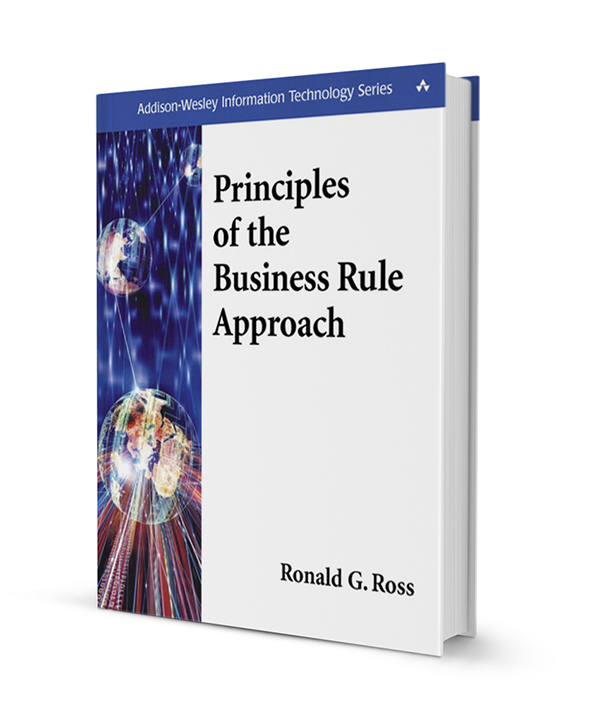 Business Rules Community (www.BRCommunity.com) is a non-commercial community for business rule professionals. BRCommunity provides articles, commentary, and a variety of other free resources. BRCommunity is sponsored by Business Rule Solutions, LLC (BRS). BRS established BRCommunity.com, and its flagship on-line publication, the Business Rules Journal, in 2000. The Journal appears there free-of-charge. BRCommunity.com is much more than simply an on-line publication. With the help of a talented staff, world-renown contributors, and generous supporters, it is the place to be for business rules!